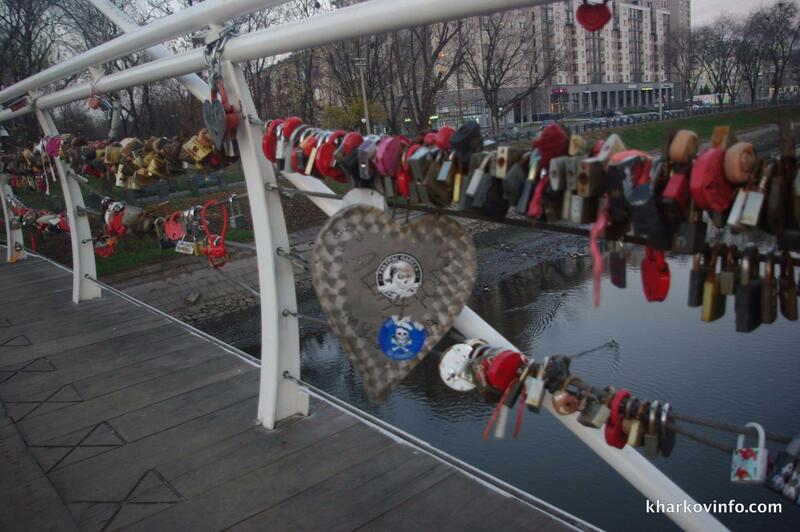 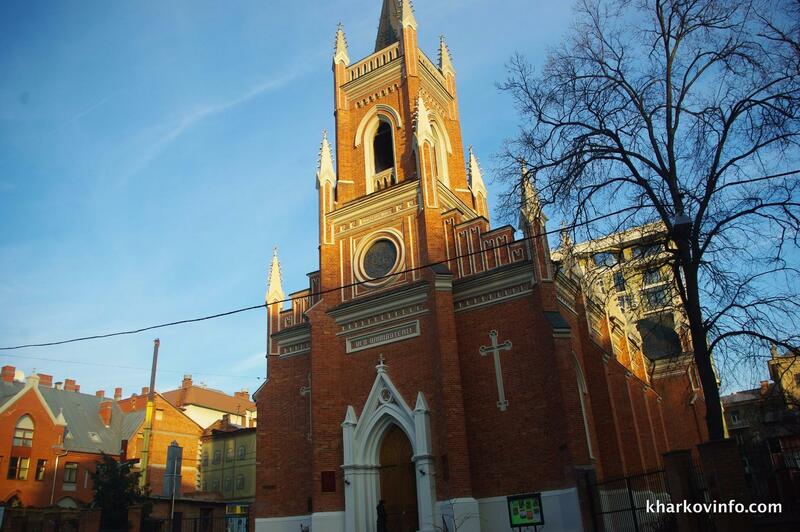 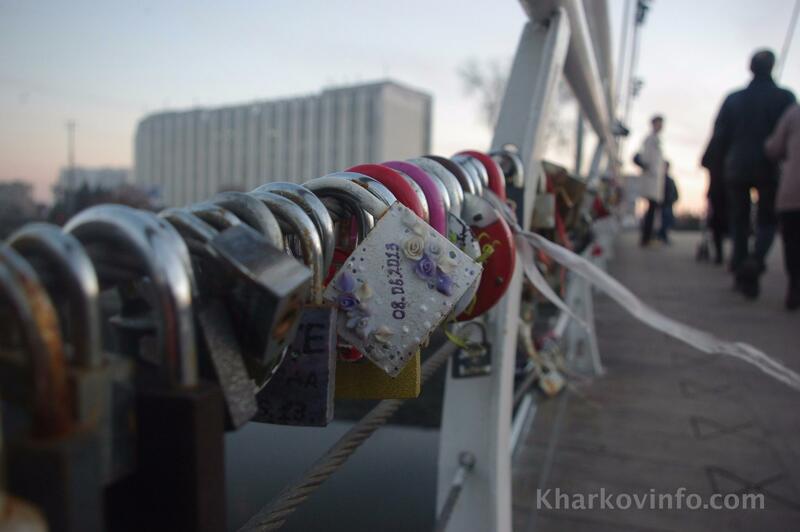 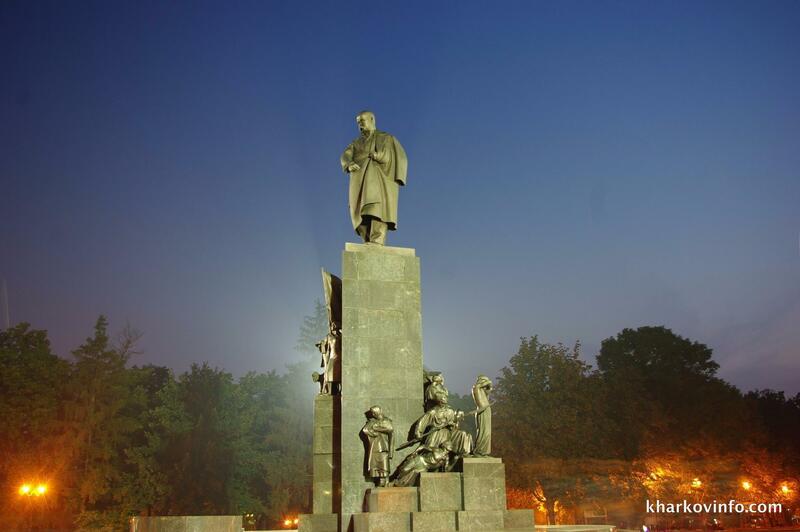 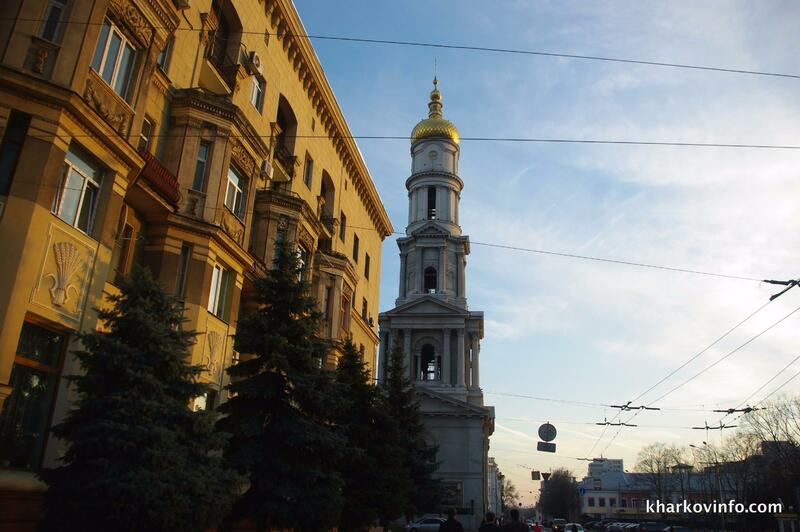 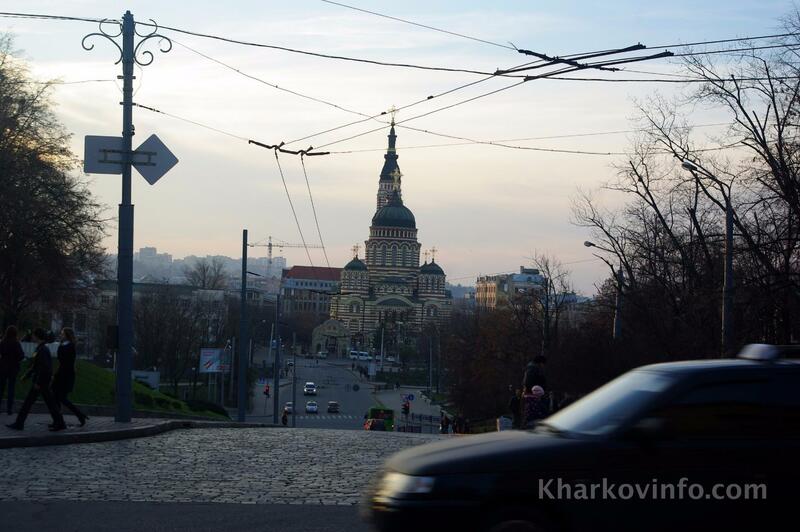 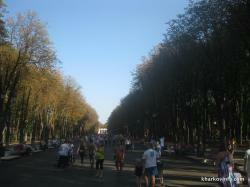 This tour is for those who want to explore beautiful Kharkiv or see it from a different angle. 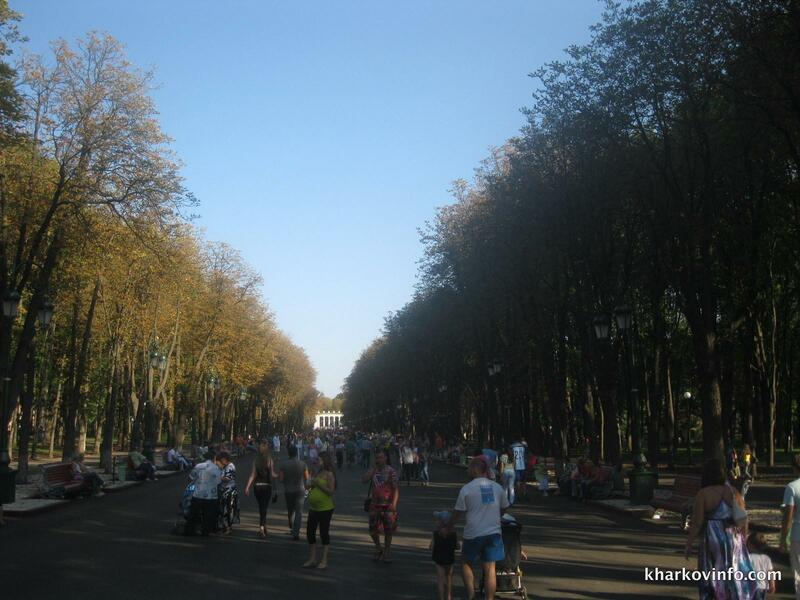 23 August Street - Lenin Avenue - Sarzhin Yar - The Stream - Dynamo Stadium- Gorky Park - Sums'ka street - Wedding Palace - Freedom Square - Rymars'ka Street- Teatralna Square - Hoholya Street - Constitution Square - Rozy Luxemburg square - Kharkiv Embankment - Birdge of Love - Kharkiv Circus. 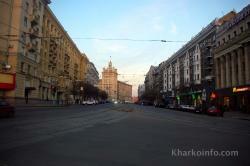 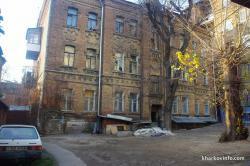 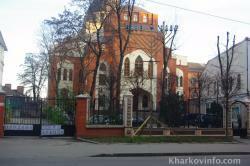 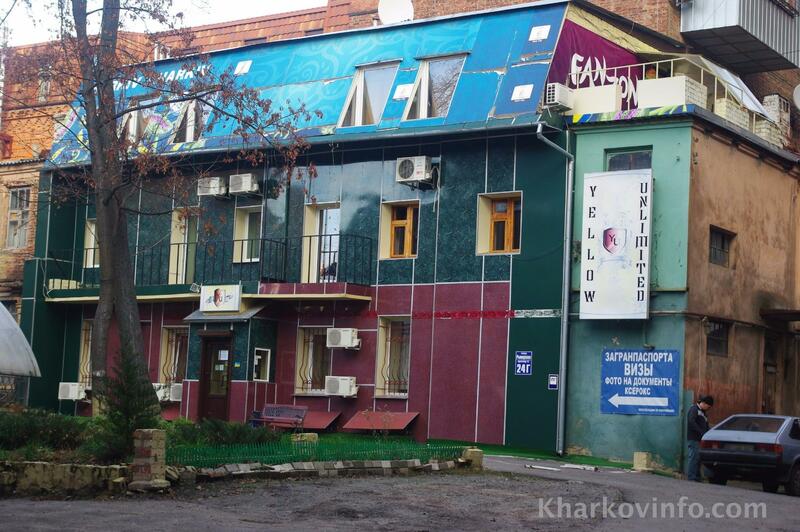 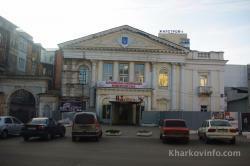 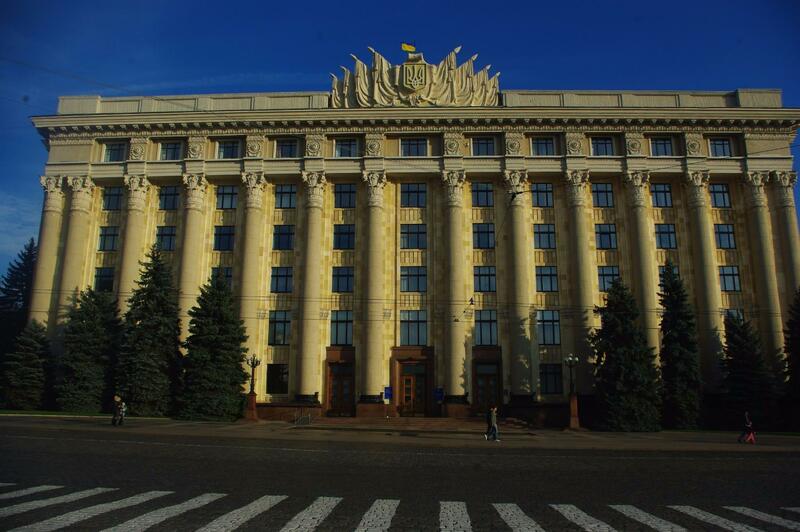 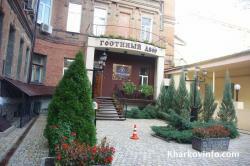 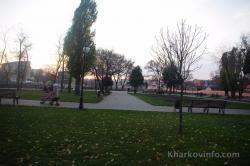 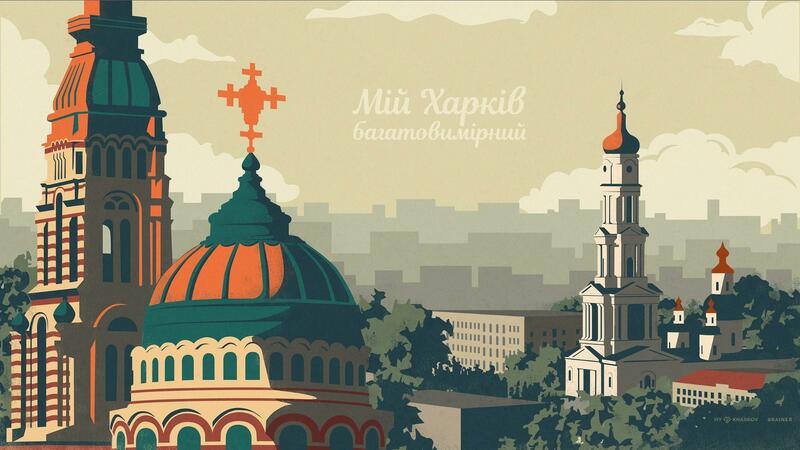 Please visit Kharkiv Virtual City Tour to see the tour with Google Tour Builder. 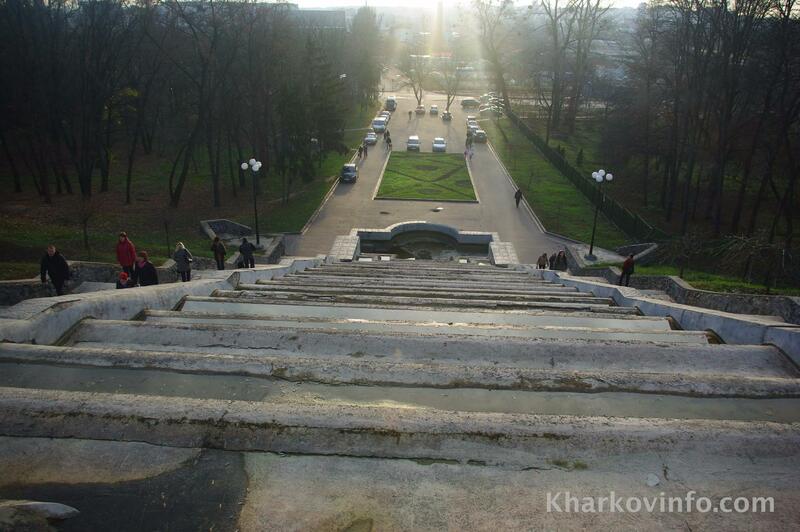 Our proposed walk starts from the square on August 23 at Pavlovsky Pole, but you can choose any starting point based on your current position. 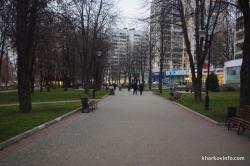 This square is a popular place where locals like to spend their evening walks. 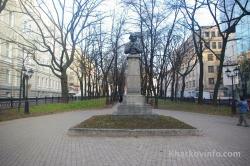 The area stretches from the cinema "Dovzhenko" to the monument to the soldier. August 23, 1943 Kharkov was released from the Nazi invaders. 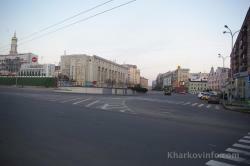 In 1959 on the site of street fighting appeared street August 23. 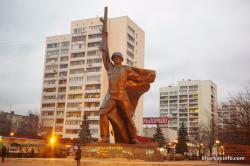 And in 1981 the Monument to the soldier was erected. 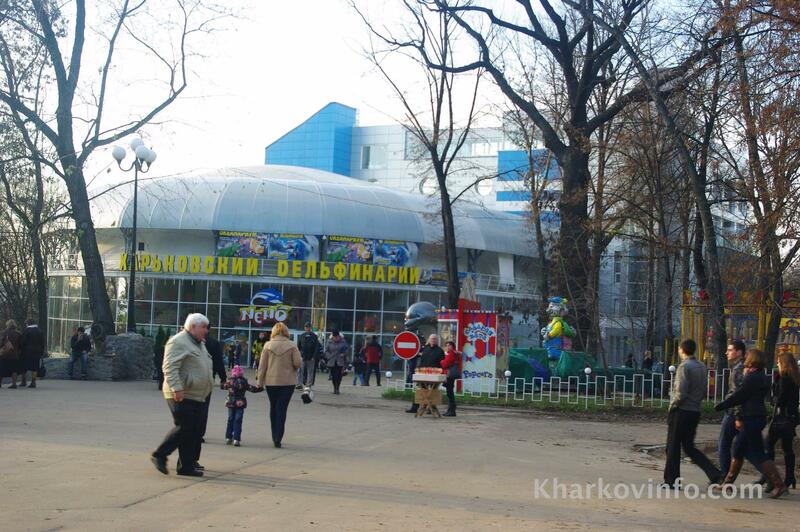 When you come to Lenin Avenue, turn left and go to the "Botanical Metro Station Botanical Gardens"
When you get to the metro station "Botanical Garden", you can continue to drive along Lenin Avenue to Freedom Square. 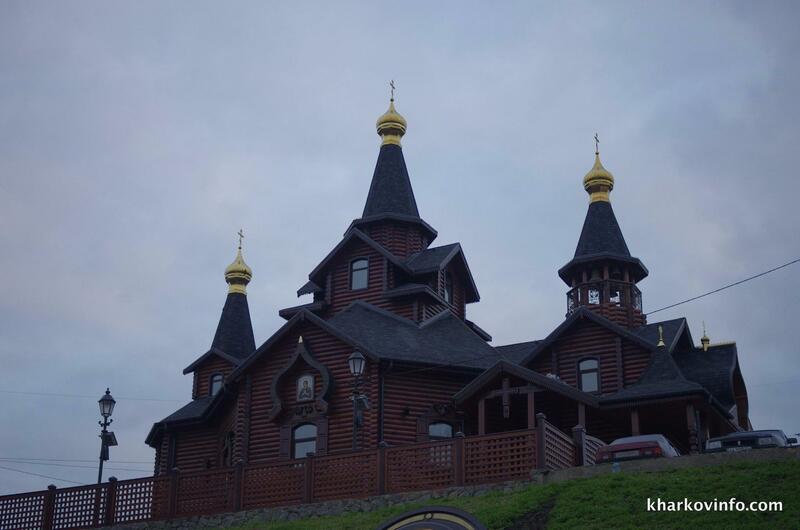 Nevertheless, we suggest you to go on a more pleasant scenic route through Sarzhinsky Yar along Potok. 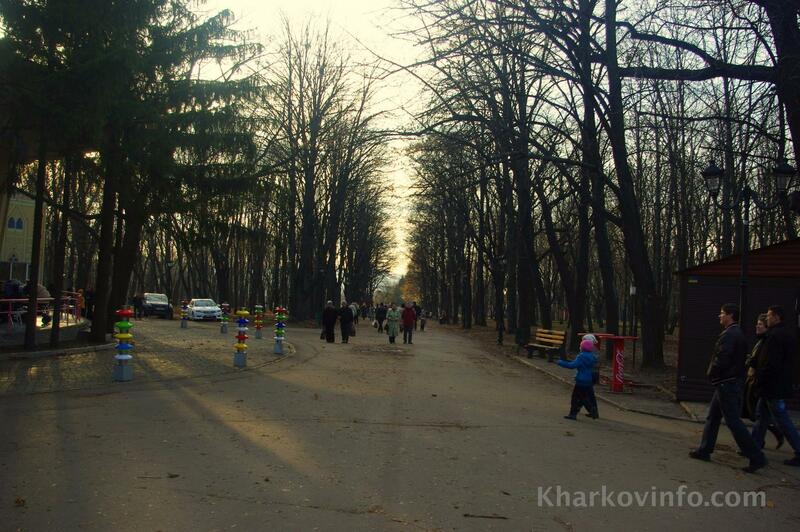 Go along Lenin Avenue, go past the gorge (in fact, Sarzhin Yar); Then turn left and go down into the garden. 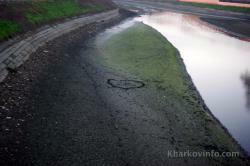 In The Stream there are always people, regardless of weather, temperature, time of day and time of year. 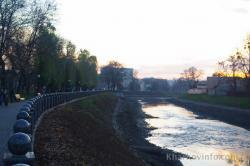 The water temperature is about 9 degrees Celsius, but people swim all year round. The water from the stream is very clean, you will find many people with plastic bottles that pull water home. 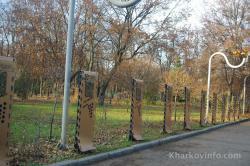 Sam Sarzhin Yar is the so-called border between two regions of the city, the Pavlovsk field and the central district of the Nagorny district. 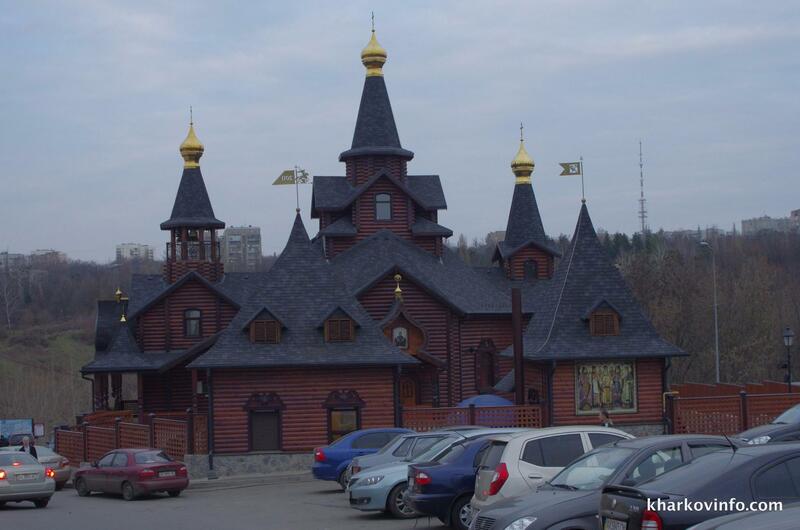 After having a small refreshing break at the stream and maybe a glass of fresh carrot juice from a small shop in the form of orange, go upstairs to the God of Mother Church. 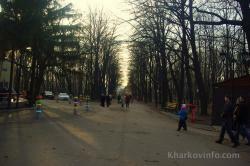 You will find yourself in Shatilovka. 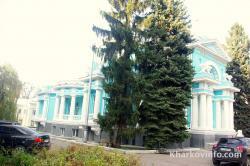 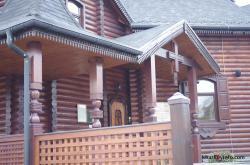 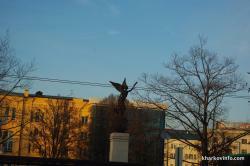 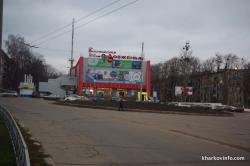 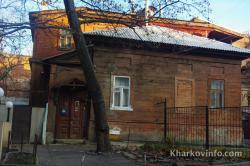 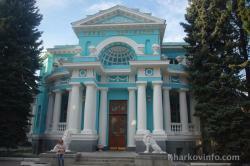 Shatilovka is the part of the city with most expensive and most desired land. 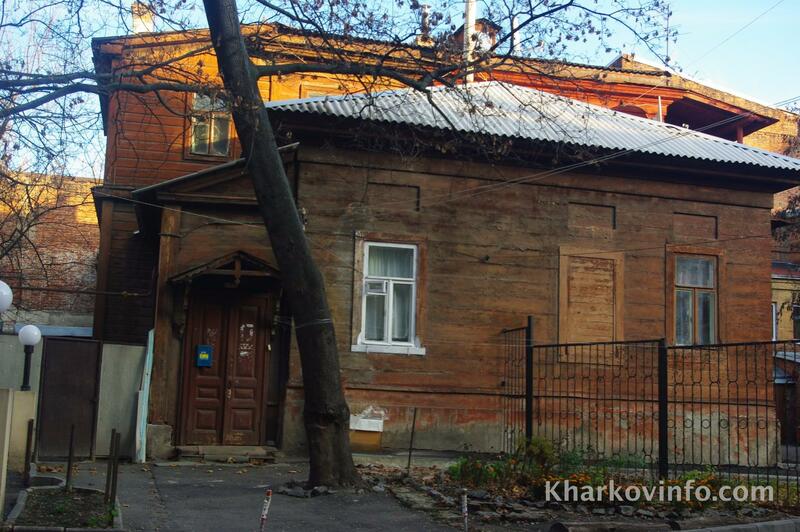 If you walk around, you will see beautiful houses of successful Kharkovians (you’ve got to be successful to afford a house here ;)). On Mins’ka street turn left, go down the street and turn right on Borodina street. When you reach Novgorods’ka street, turn left and go straight to Gorky Park. 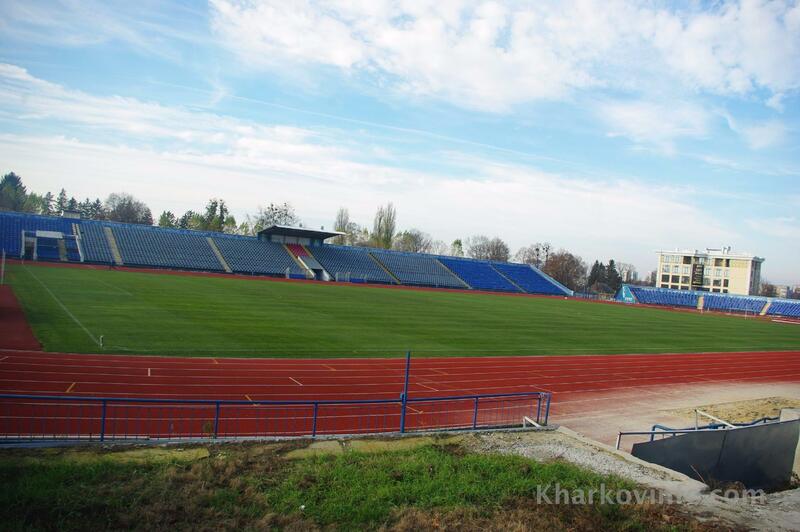 You will see the Stadium ’Dynamo’ from the left. 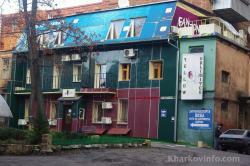 then hotel ‘Dynamo’ and abandoned restaurant ‘Dynamo’ . 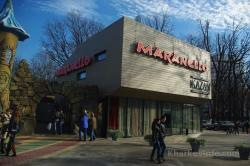 When you reach the main entrance of Gorky Park, you have a chance to try one of the best pizzas in the city in pizzeria “Maranella Kazan” . 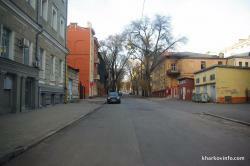 Then, go to Sums’ka street and head the center (to the right). 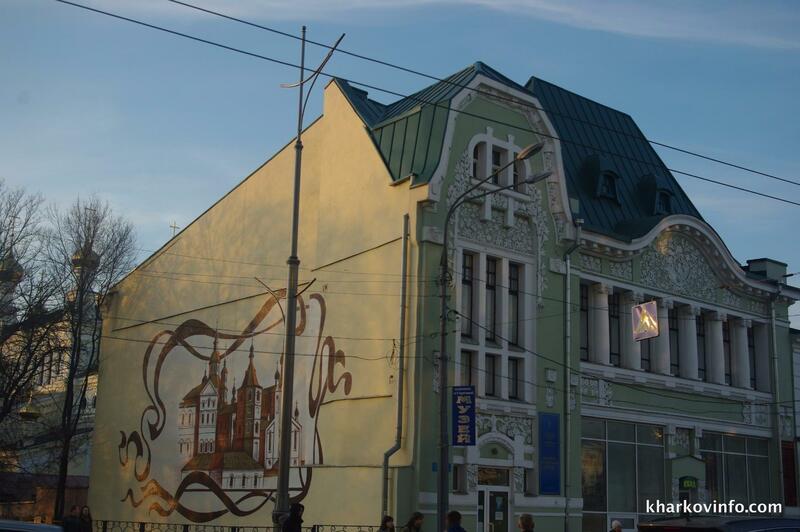 Sums’ka itself is a beautiful street, where almost every house is an architectural monument. 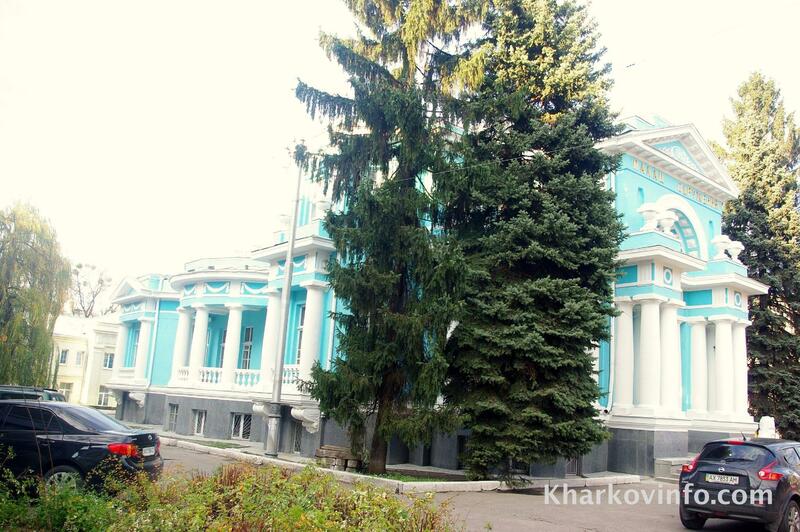 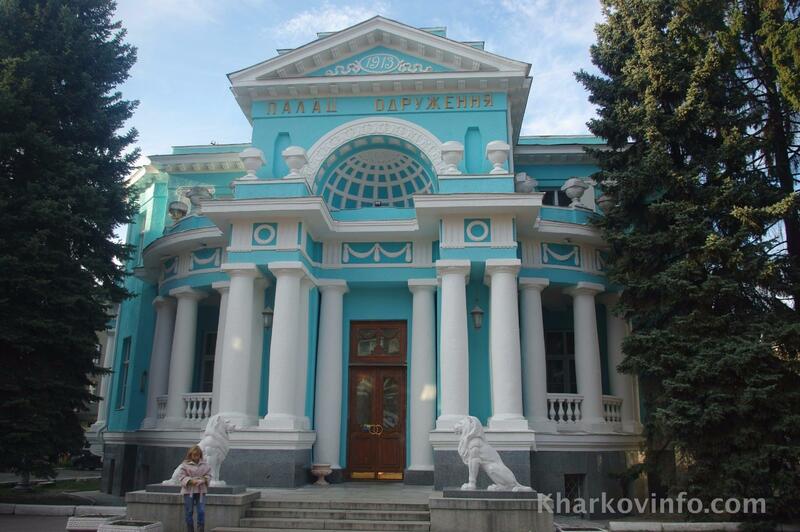 One of most notable houses is Kharkiv Wedding Palace on Sums’ka 61 which has been renovated in Summer 2013 and painted in turquoise. 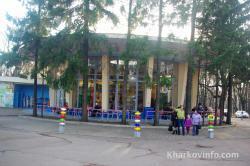 When you reach metro Universitet, pay attention to the station. It is called “Steklyashka” (not officially) because of the walls made of glass (“steklo” means “glass”). 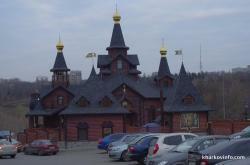 Steklyashka is one of most popular meeting points of kharkovians. 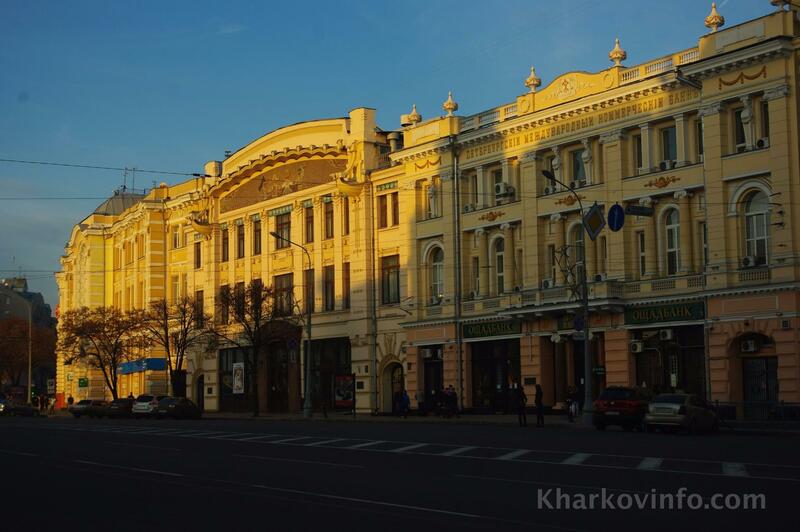 Kharkiv Wedding Palace Kharkiv Wedding Palace "Steklyashka"
A bit of effort and you reach main square of the city, Svobody (Freedom) square. 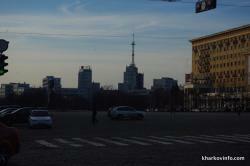 This is one of the biggest squares in Europe. 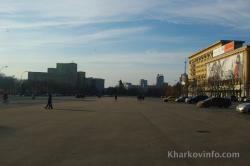 The square is surrounded by Kharkiv City Council from Sums’ka street side, Shevchenko Garden from the left, Kharkiv National University, Gosprom (Derzhprom), and first and the only 5 star hotel Kharkiv Palace Premier Hotel and, finally, Lenin monument.When you check all the Svobody (Freedom) Square landmarks, we recommend you to go back to Sums’ka street and walk up the street. 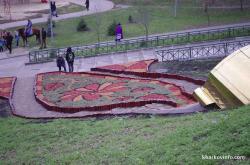 Shevchenko Garden contains many gems, but we will get to the them from another side. 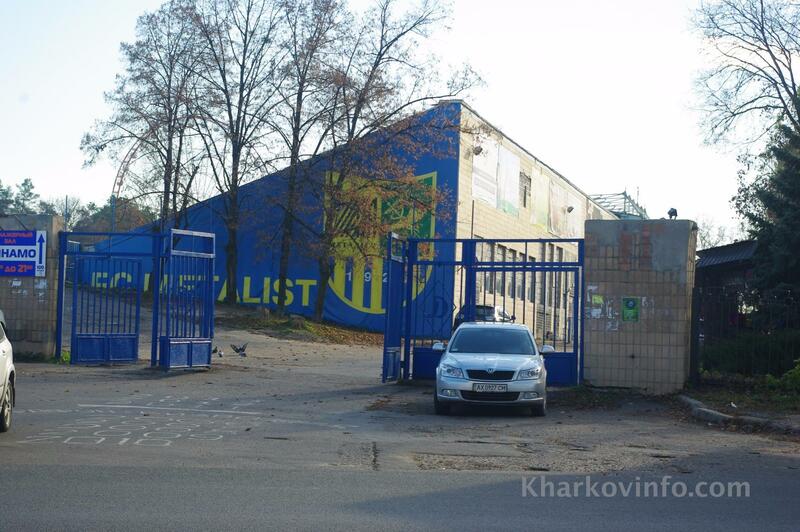 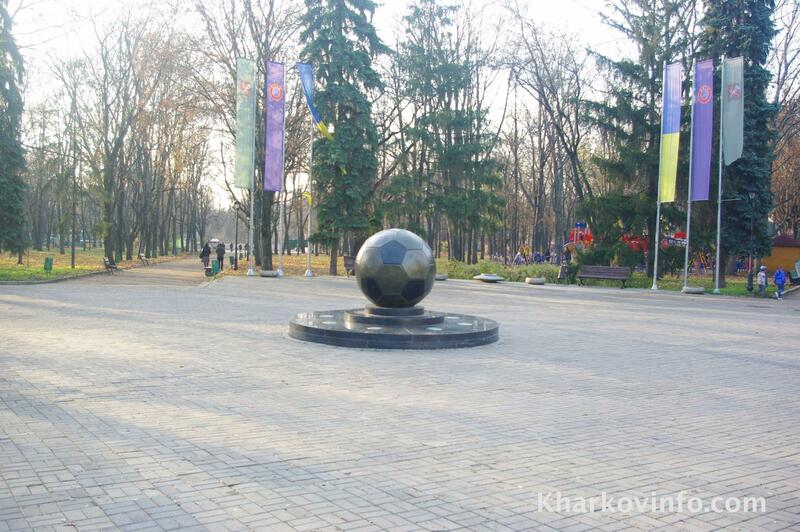 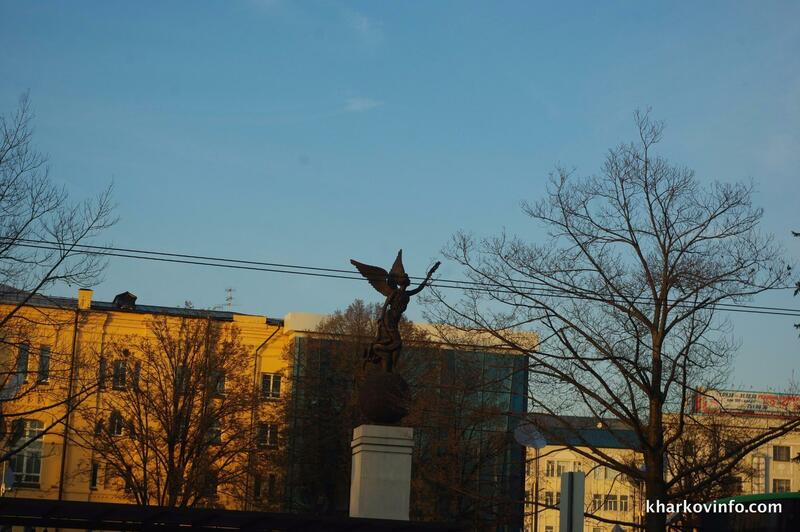 A bit further you will see Soccer Ball Monument, signed by the main football coach of Ukraine Oleg Blokhin. 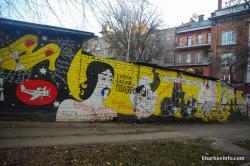 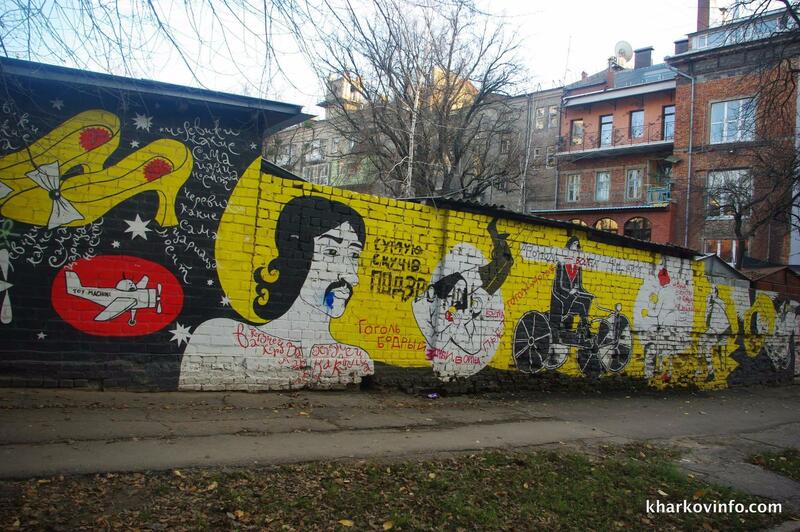 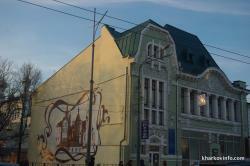 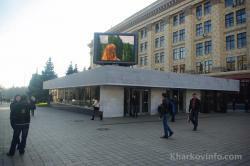 Among mentioned before ‘gems’, there is Alley of stars of the cinema festival “Kharkiv Lilac”. 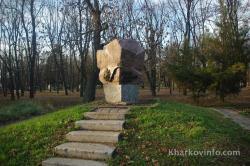 Hidden in bushes monument to stone..what you would think when seen it from behind. 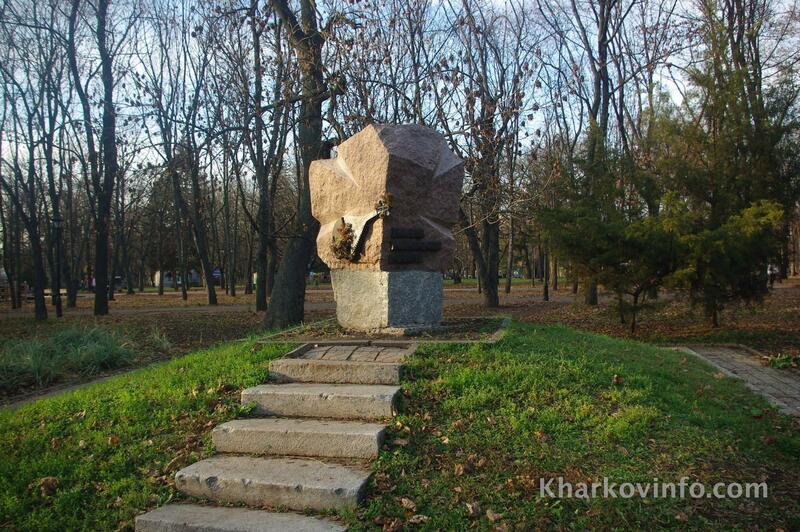 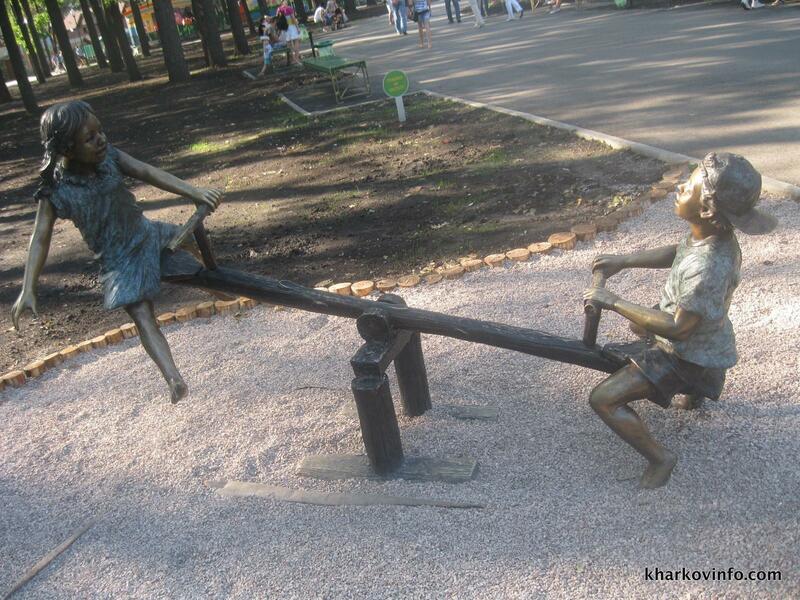 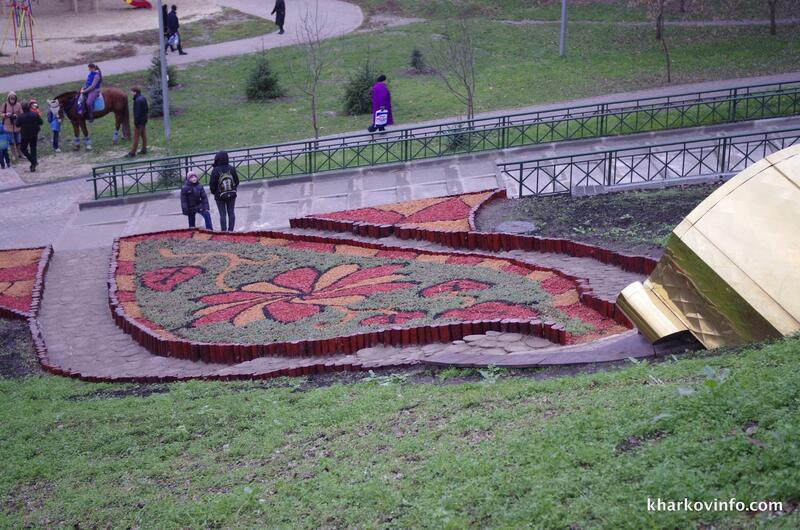 In fact, this is Monument to Repressed Kobza Players (‘kobza’ is a ukrainian national musical instrument). 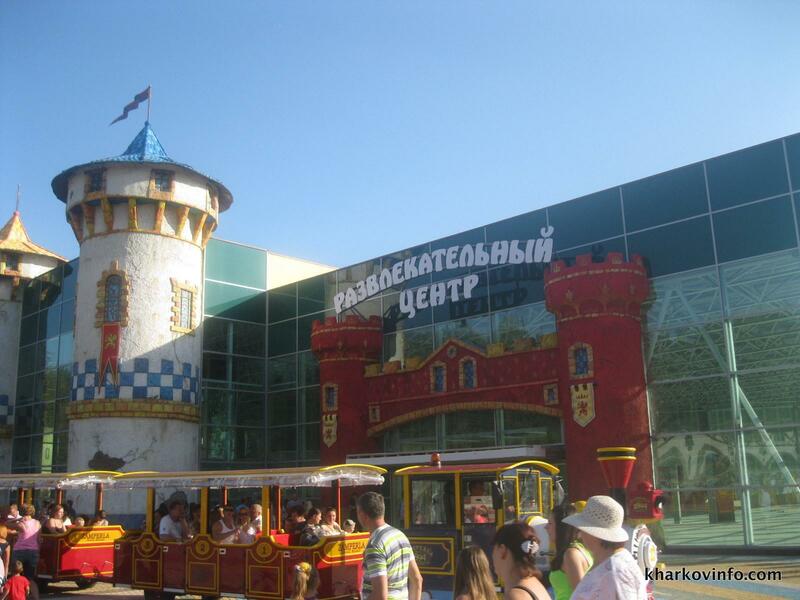 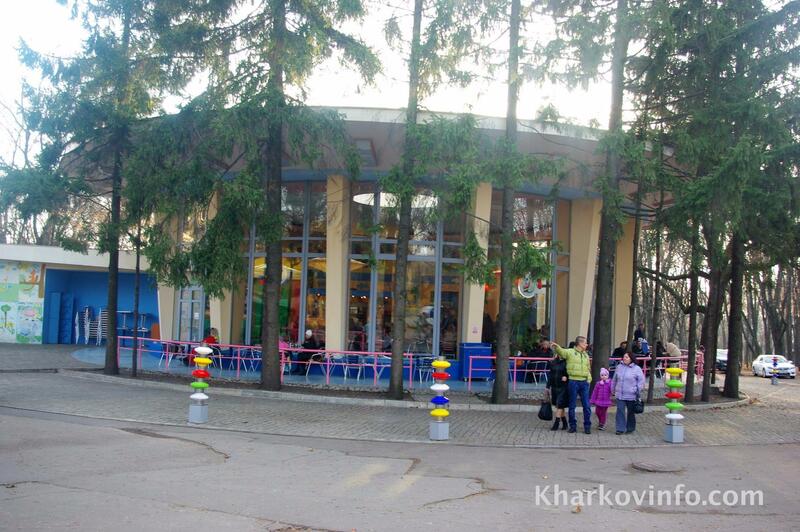 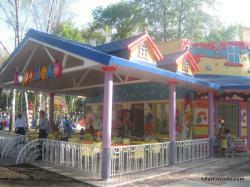 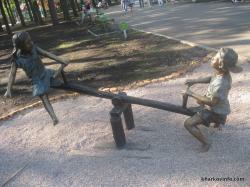 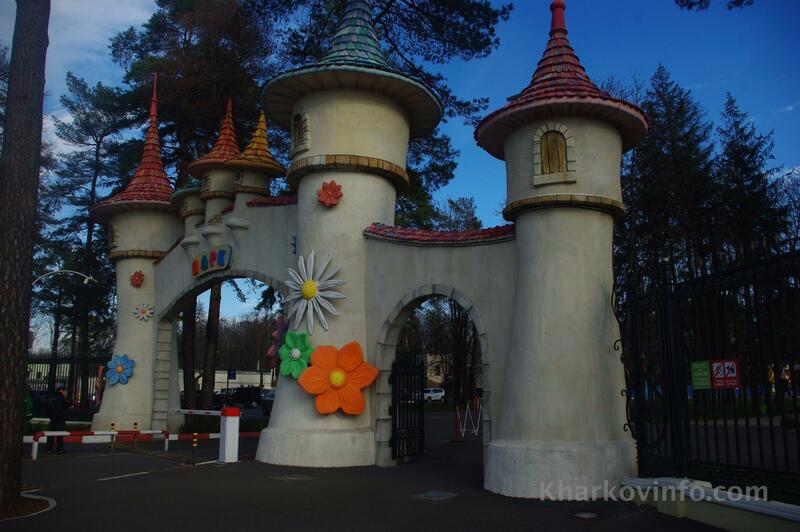 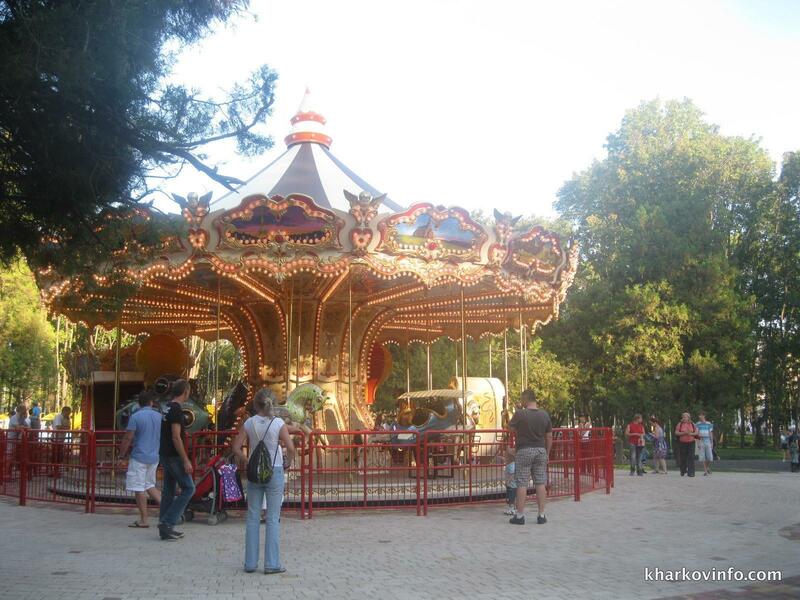 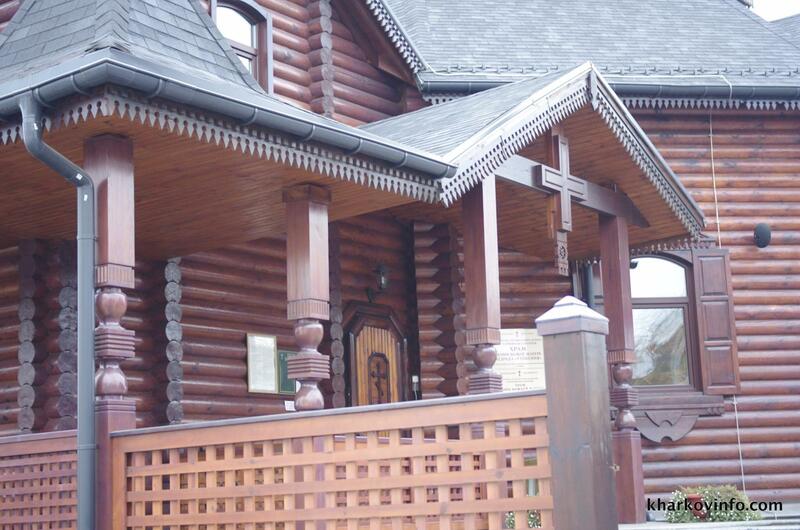 In the heart of Shevchenko Garden there is a famous kids cafe “Crystal”. It seems, it has been here for ever! 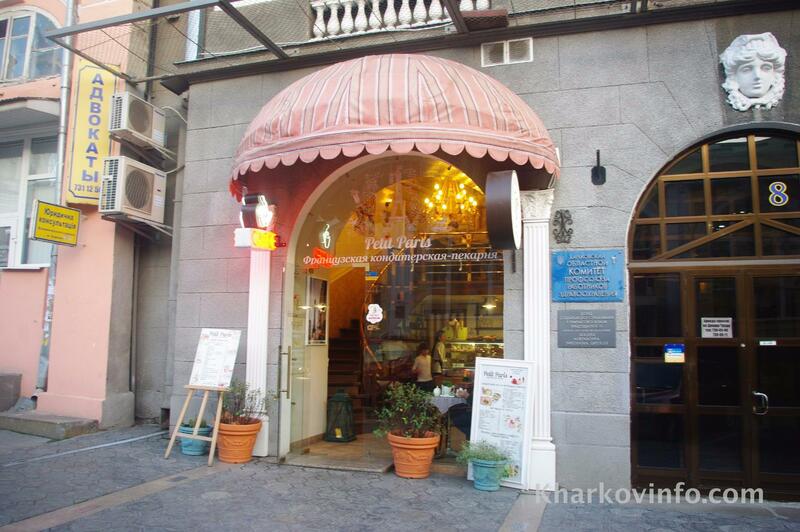 You may want to try their legendary ice-cream “Belochka” (“squirrel”). 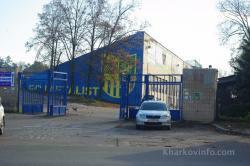 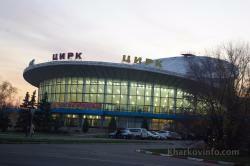 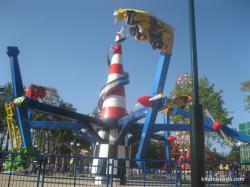 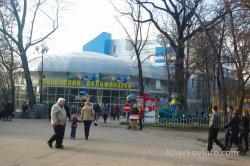 At the end of main alley there is the only dolphinarium in Kharkiv - dolphinarium “Nemo”. And then, fountain Kaskad. 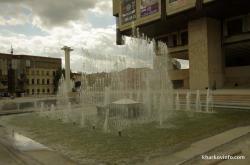 This is a very romantic place, especially in summer when the fountain is functioning. 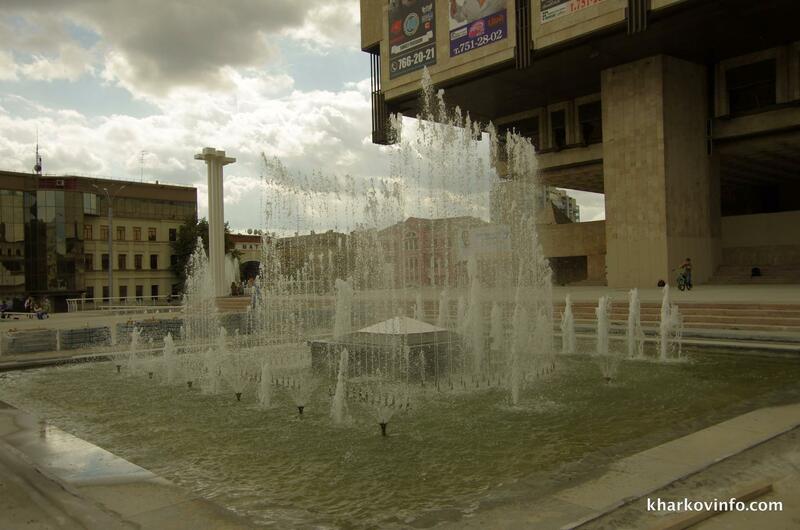 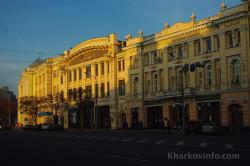 Then, go back to Sums’ka street to see Kharkiv Theater of Opera and Ballet and The Mirror Stream in front of it. Cross Sumskaya and go right to Rymars’ka street (to the left from Kharkiv Opera and Ballet Theater). 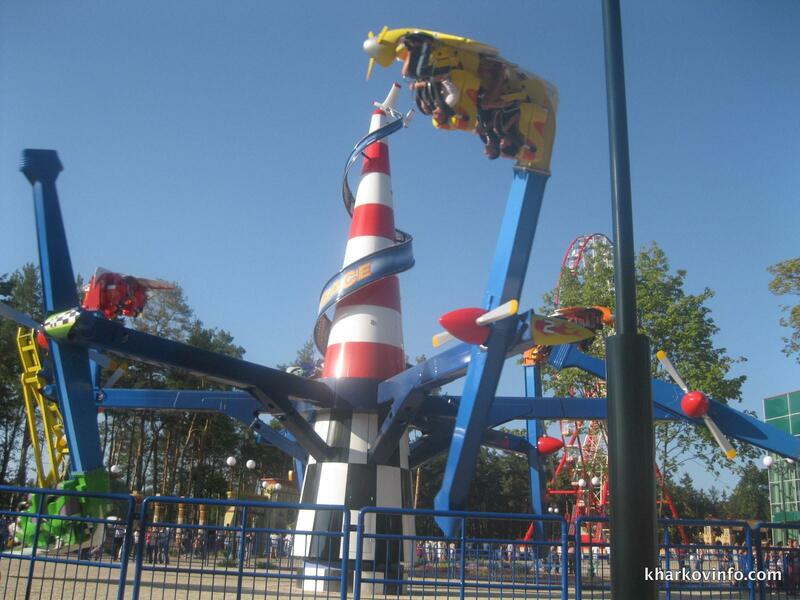 Rymars’ka is fantastic! 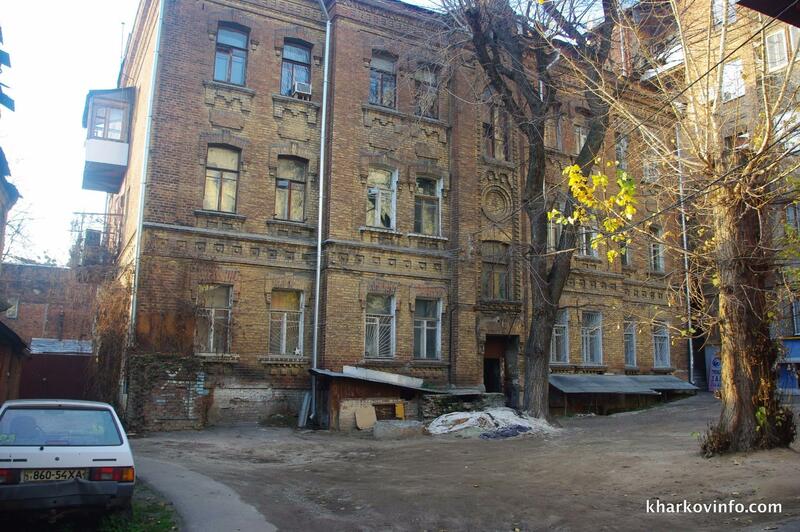 So many little yards and beautiful old buildings. 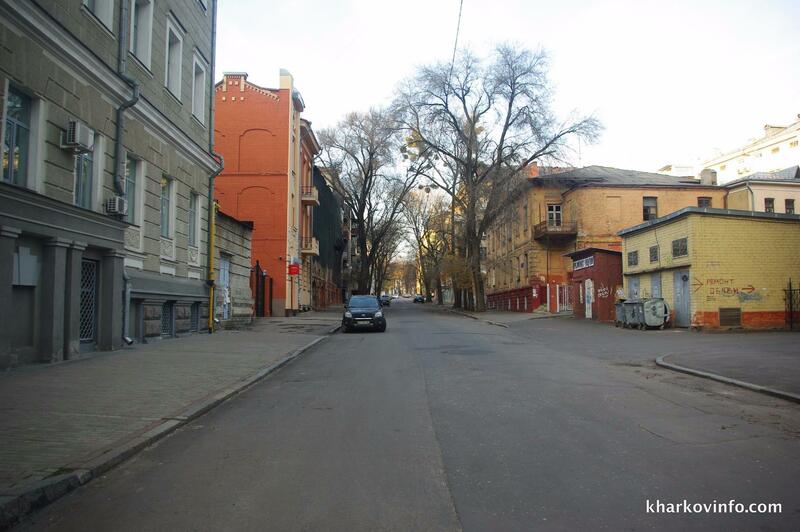 On Grabovskiy street turn left and get back to Sums’ka street. 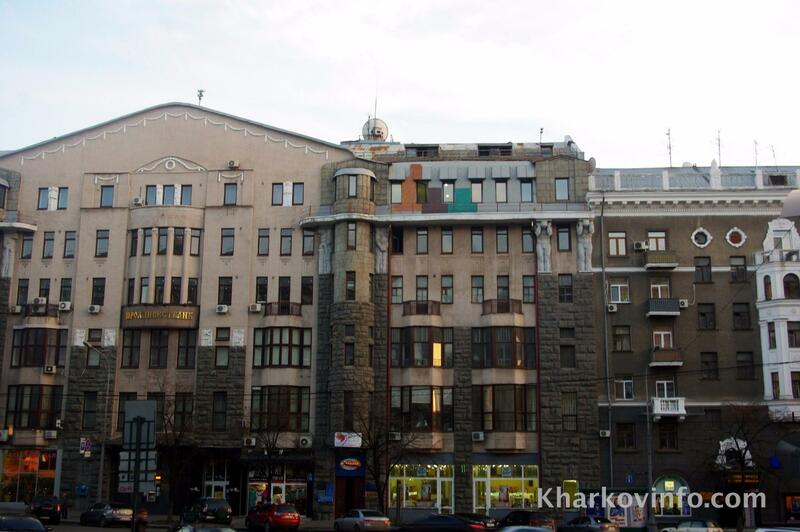 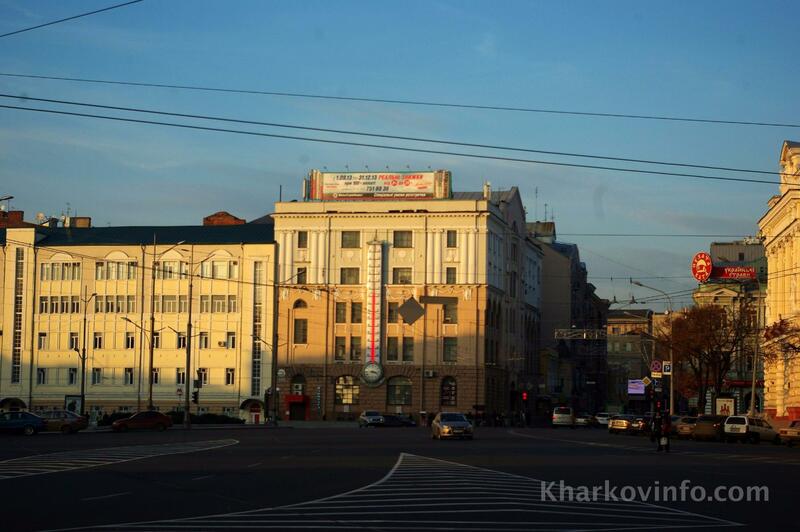 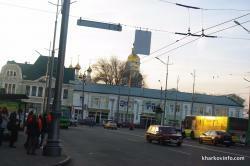 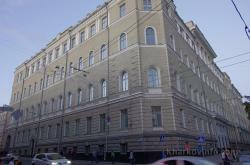 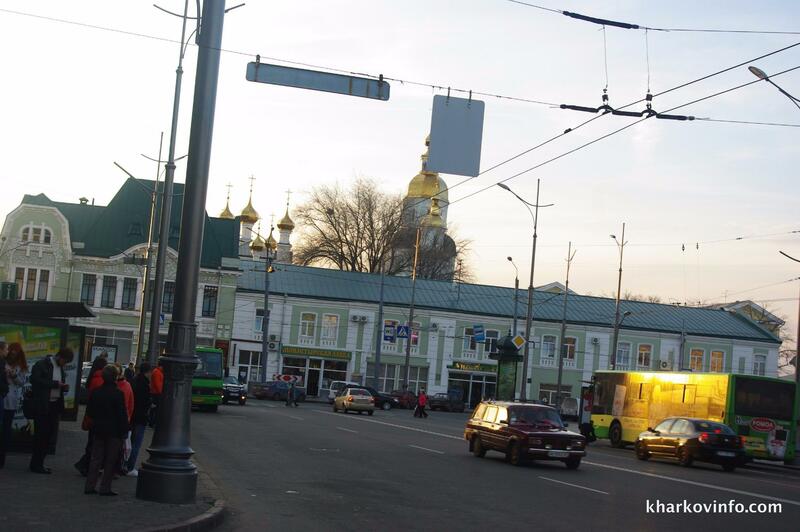 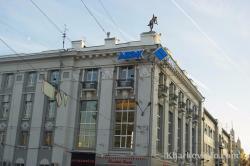 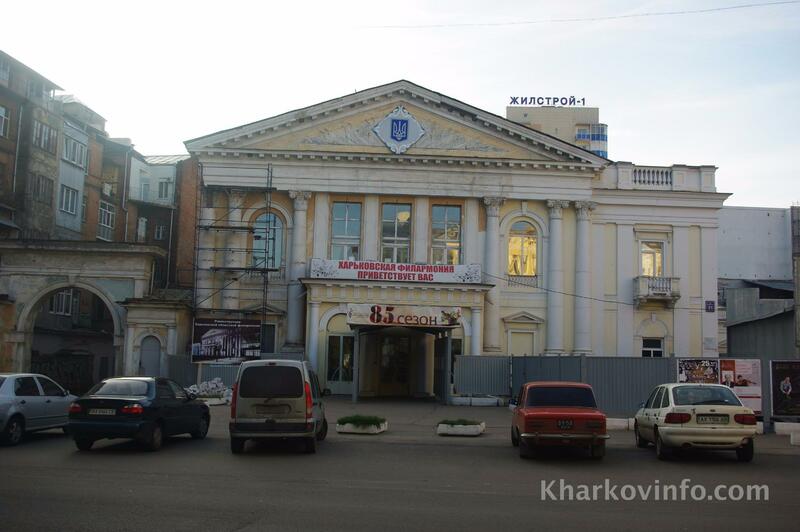 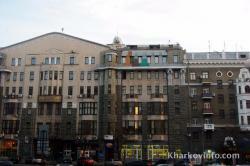 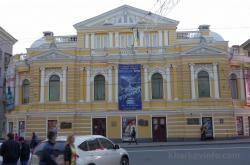 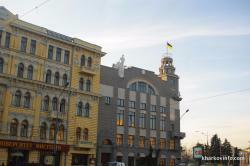 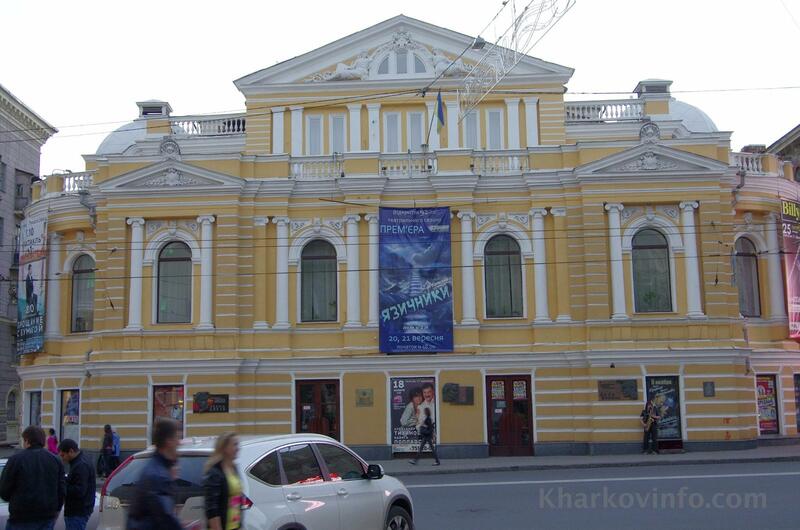 You will find Shevchenko Theater to the right and Teatral’na Square in front of it. 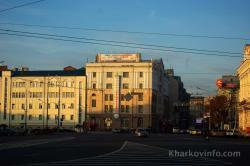 To the left from Teatral'na Alley there is the building of the State Bank. 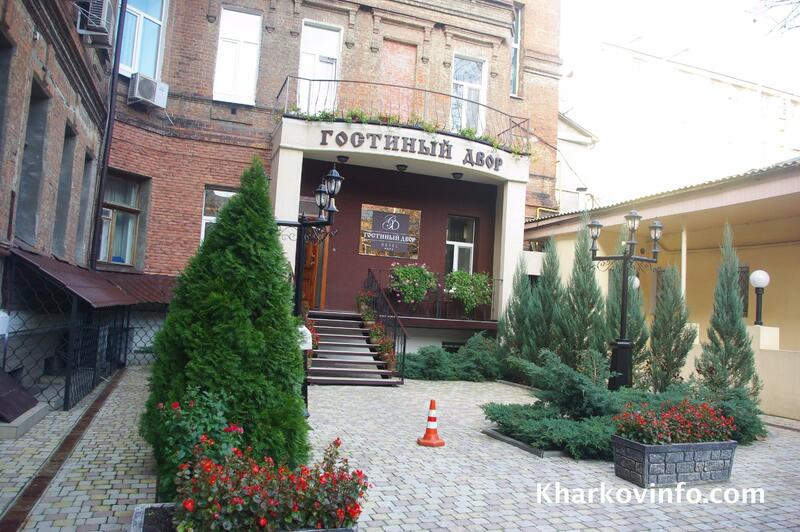 From Teatral'na Alley turn a bit to the left to have a look at the shortest street in Kharkiv - Gogol Street.One of most popular and the best hotels of Kharkiv “Chichikov” is located on this street. 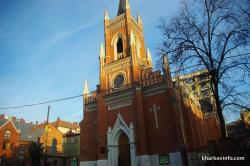 Behind the hotel there is a big Catholic Cathedral of the Assumption of the Blessed Virgin Mary. 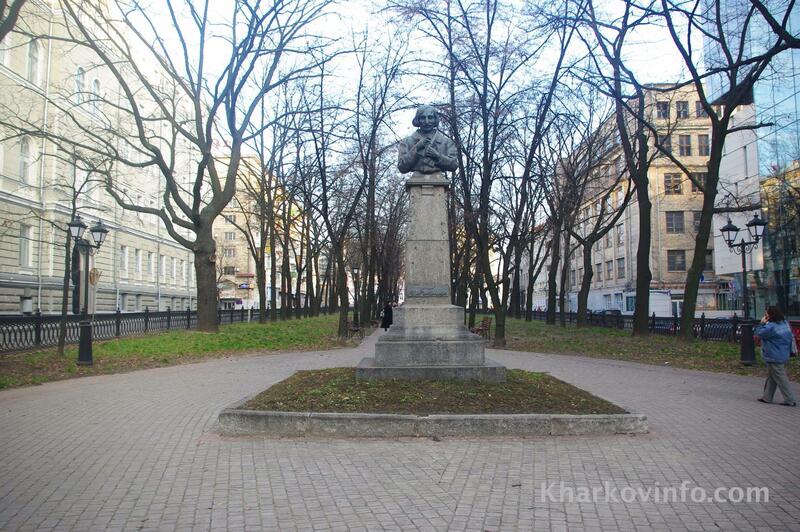 When you go up Sumskaya street and reach Constitution Square, you will see another popular meeting point “Gradusnik” (‘thermometer’) from the right side. 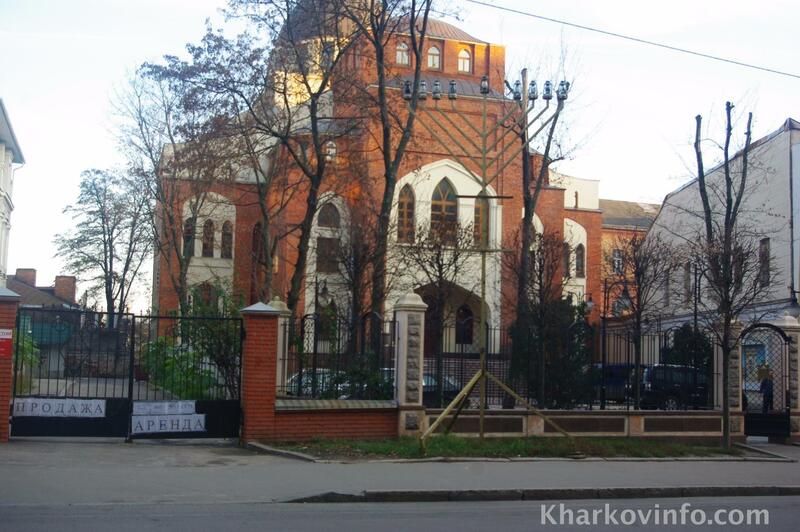 If you want to see the biggest synagogue in Ukraine and second in Europe (after the one in Budapest) Kharkiv Choral Synagogue, turn here to the left and go to Pushkins’ka street. 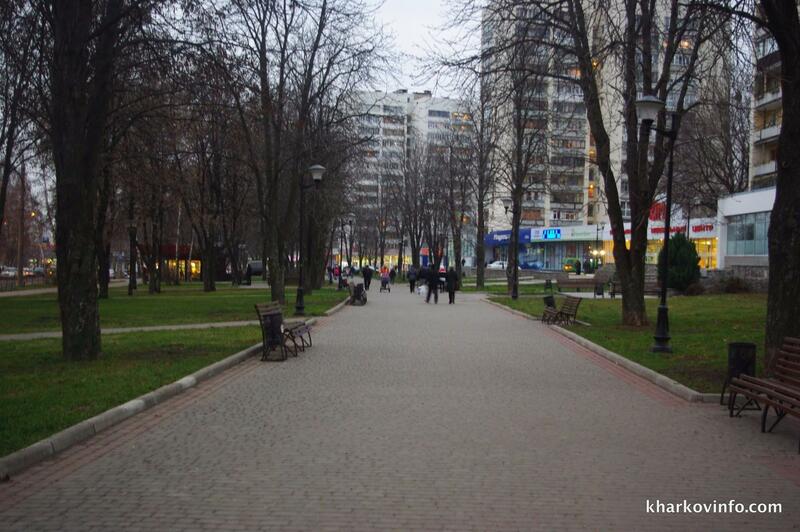 From Pushkins’ka street you will need to walk up the street and get back to Constitution Square. Coffee time! 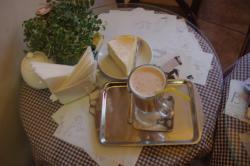 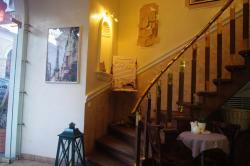 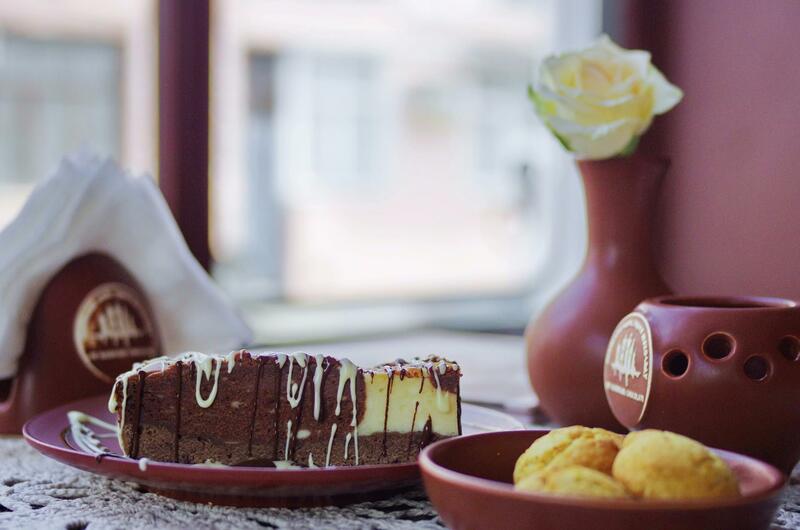 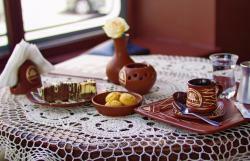 At the crossroads of Radans’ky lane and Kvitka-Osnov’yanenko street there is a popular cafe ‘Lviv Chocolate Factory’. Its almost always full of people but you can take something ‘to go’. 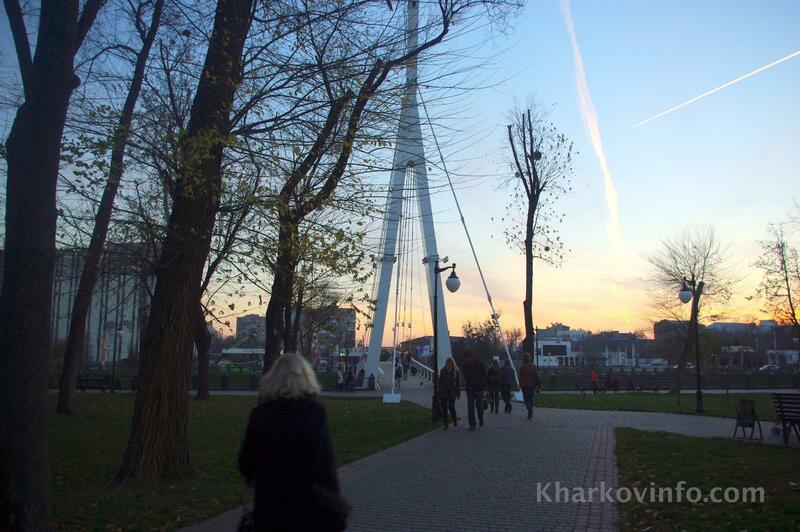 And then to Kharkov embankment to the right. 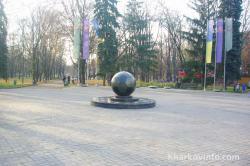 Here starts park “Strelka” (Arrow). 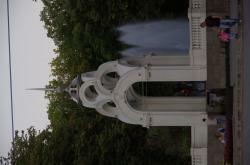 It is called like this because of the corner made by two rivers. 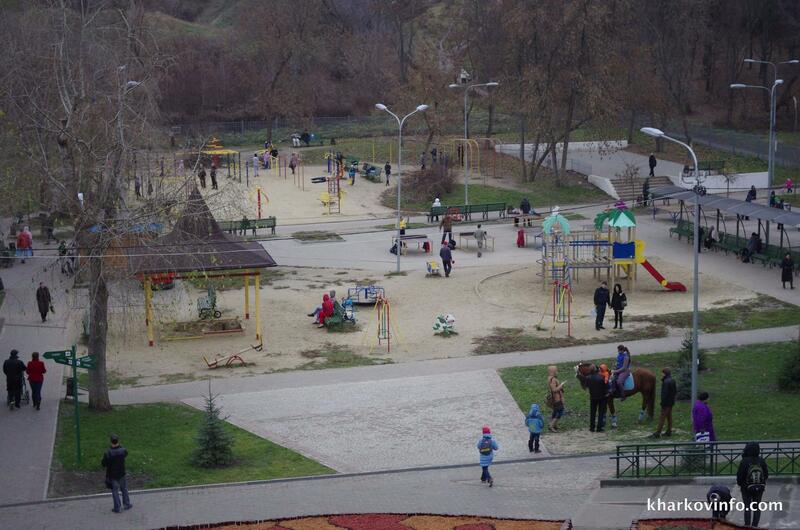 In summer you could even take a boat here. When getting to the park, go inside and turn left. 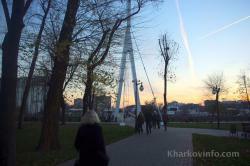 When you cross the bridge, turn left and go along the embankment. 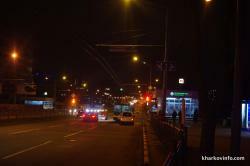 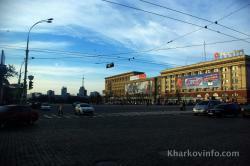 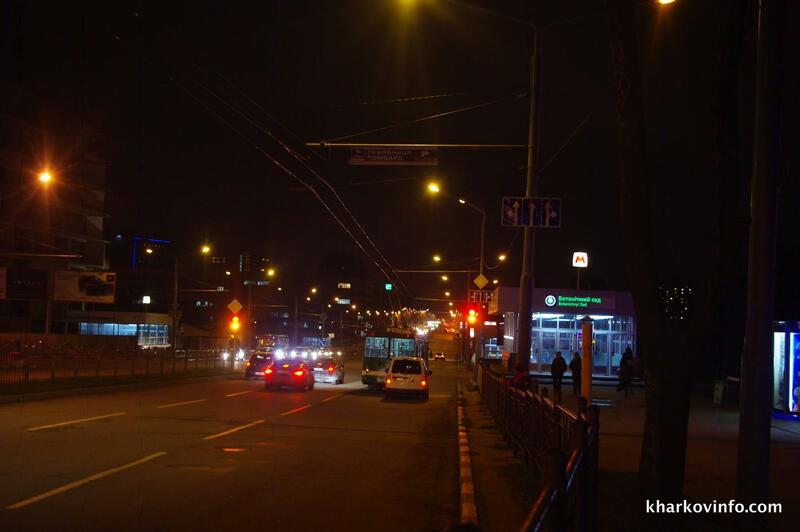 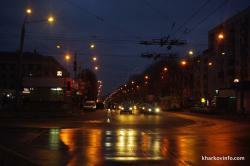 You will see Kharkiv Circus to the right. 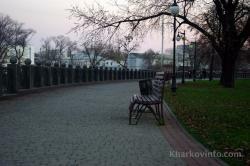 When reaching the first bridge, cross it and go straight to the center.